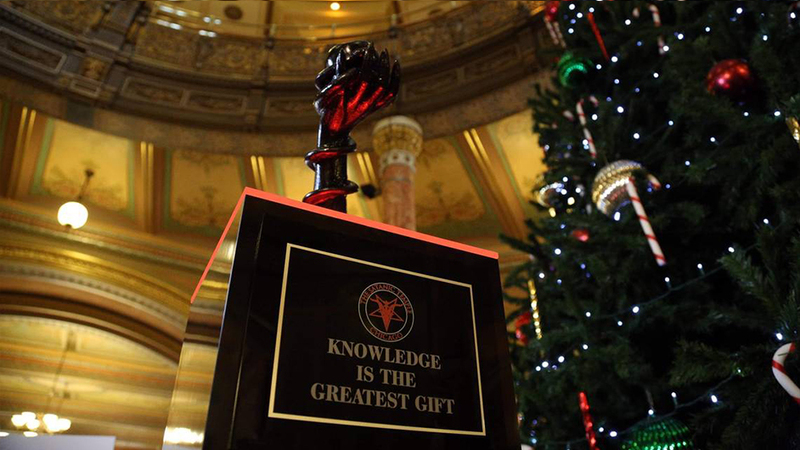 “Knowledge is the greatest gift”. I agree. The very term Satan means “adversary” and as “the deceiver” and “Father of lies”, Satan is therefore the enemy of knowledge. And if religion is a “myth that enslaves men’s minds” (what about women?) then surely Satanism is a religion (it does have it’s own church!) so it’s a case of the pot calling the kettle black. 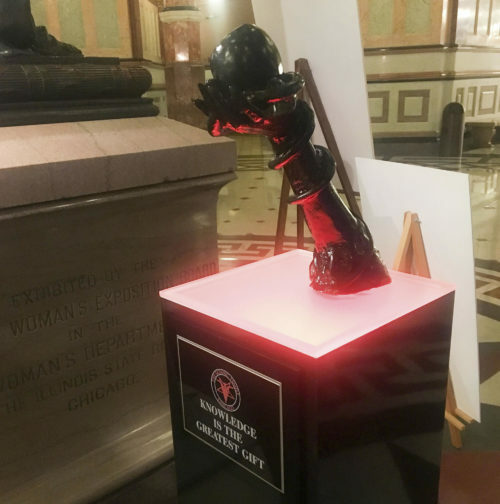 What amazes me most is that Satanists can erect these things under constitutional freedom, but the Alternative Media and various and sundry whistleblowers are increasingly being censored. Double standards and hypocrisy abound.